A school has banned bags for health and safety reasons leading some pupils to get creative with how they carry their books. 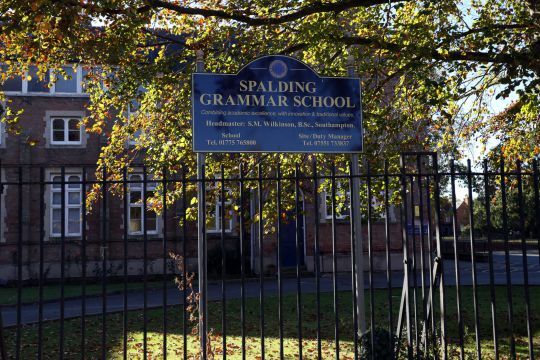 Jacob Ford, 17, disagreed with the policy at Spalding Grammar School after sixth-formers were ordered not to carry bags between classes. The school stated that ‘injury was being caused to younger students’ because of ‘ever-larger bags’ being carried on their shoulders. Instead, they are being encouraged to carry books by hand between lessons. Previously bags were not allowed in years 7 to eleven, but until this year they were allowed for sixth formers. 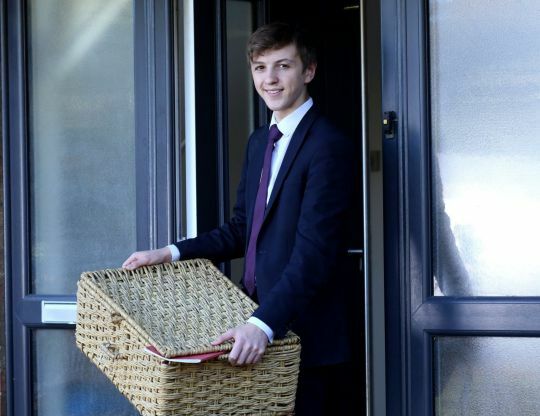 Jacob staged a silent protest by using a wicker basket and a microwave to make a point after a petition was started. He also wrote a 3,000-word essay in which he says a compromise could be made. 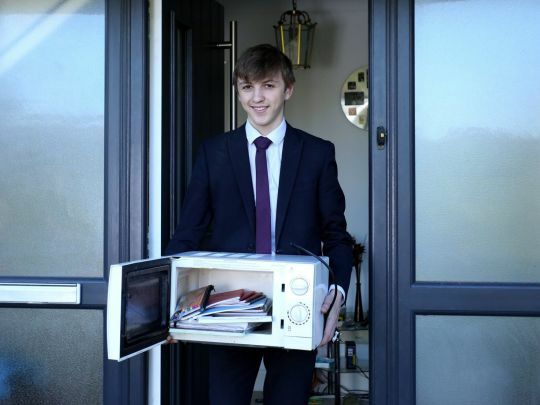 He ended up being suspended for two days after he refused to hand over his mobile phone which he used to keep his mother Tracy updated about his ‘treatment’. She said: ‘I think Jacob’s protest has been very peaceful and I believe he should have his say.